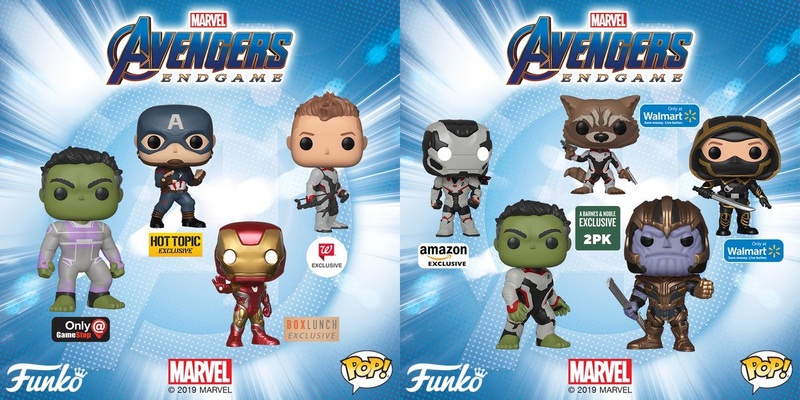 Funko has unveiled its upcoming slate of retailer exclusive Avengers: Endgame Pop! Marvel vinyl figures, which includes GameStop exclusive Hulk Pop!, Hot Topic exclusive Captain America Pop!, BoxLunch exclusive Iron Man Pop!, Walgreens exclusive Hawkeye Pop!, Amazon exclusive War Machine Pop!, Walmart exclusive Rocket Raccoon Pop!, Walmart exclusive Ronin Pop!, Barnes & Noble exclusive Hulk and Thanos Pop! 2 Pack, and a supersized Target exclusive Thanos 10” Pop! 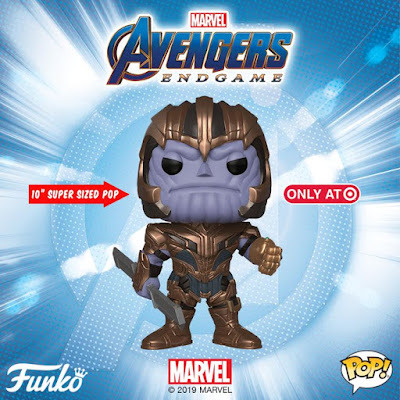 Each retailer exclusive Avengers: Endgame Pop! Marvel vinyl figure stands 3.75” – 10” tall, features one point of articulation and comes packaged in a full color displayable window box. These figures should be hitting store shelves in soon!